When it comes to house music fundamentals, US legend Lenny Fontana has never wavered in his devotion to the scene and not conforming to fly-by night trends like so many others. 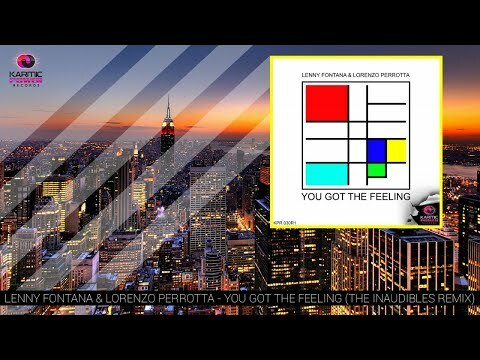 Teaming up here with Lorenzo Perrotta ‘You Got The Feeling’ originally released in 2014 is now lavishly treated to 3 inspiring mixes from Lenny himself, The Inaudibles and Detroit legend himself Terrence Parker. If you like your house music soulful, funky. warm and analogue, there really is a cut here for everyone. A star studded package and massive release from Karmic Power.